Product prices and availability are accurate as of 2019-04-07 18:15:20 UTC and are subject to change. Any price and availability information displayed on http://www.amazon.com/ at the time of purchase will apply to the purchase of this product. 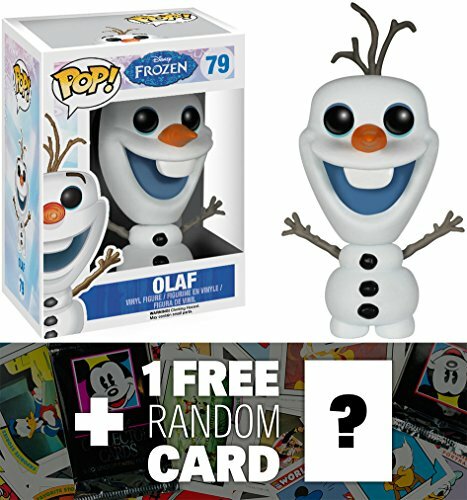 ONE FREE official classic Disney trading card is bundled with this item. The card is randomly picked and bundled (may be inside the product packaging), and there's a chance to receive a valuable rare card! 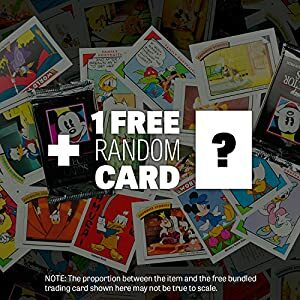 If you return this item, the trading card must be POP! is a crossover vinyl figure series by Funko and other famous franchises such as Disney, Pixar, DC Comics, Marvel Comics, Star Wars, Simpsons, South Park, Uglydoll, etc. Each figure is about ~3" to ~5" tall and crafted in a Japanese anime/manga super-deformed style (NOTE: due to the unique design of each character, the actual size of the figures may be smaller or bigger than stated.). The POP! x Frozen series features characters from the Disney's 3D computer-animated movie, which is inspired by Hans Christian Andersen's fairy tale The Snow Queen. The film tells the story of a fearless princess who sets off on an epic journey alongside a Perfect collectible items for all Disney Frozen's fans.